Bolton: ‘What Do You Think I’ll Learn’ From Khashoggi Tape? National security advisor John Bolton suggested he would not learn anything by listening to recordings taken during the killing of Washington Post journalist Jamal Khashoggi. 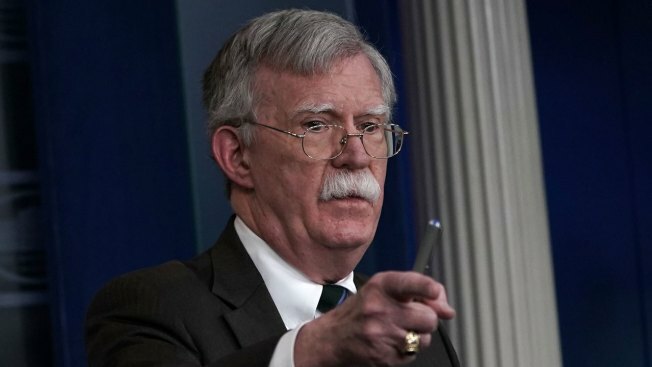 National security adviser John Bolton suggested Tuesday he had not heard and does not intend to listen to recordings taken during the killing of Washington Post journalist Jamal Khashoggi. Bolton and White House press secretary Sarah Sanders evaded questions about Khashoggi's death and defended the administration's response to the slaying, which the CIA said was done at the behest of Saudi Crown Prince Mohammed bin Salman, NBC News reported. "What do you think I'll learn from it?” Bolton asked reporters at the White House. “Unless you speak Arabic, what are you going to get from it?" “People who speak Arabic have listened to the tape and given us the substance of what is in it. We’re very satisfied that we know what the tape picked up, and it was factored into the president’s position,” he continued.